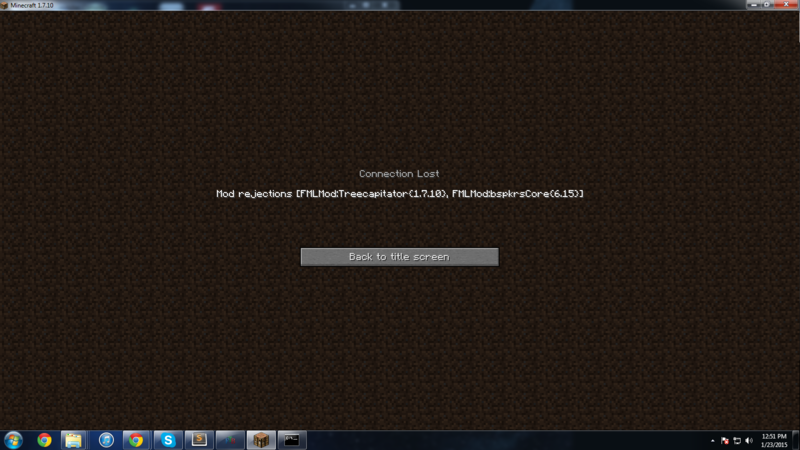 So I installed this on my DW20 v1.0.3 for 1.7.10 server and it is giving me Mod rejections when I try to login. Is this not a server side only mod anymore? I used to use it in 1.4.7 and all I had to do was install it server side and everything was fine. I have the bspkrs thing but it still crashes. treeCapitator not use vanilla axes, but does work with Thermal Expansion 4 with autoswitch. only Thermal Expansion 4 and vanilla work when autoswitch is off. Hey can i use this mod on my server and the mod pack for it? It's in the first post. Please read it. Last paragraph is labelled "Reuse/Modpacks"
I cant seem to download floating islands from either adf.ly or bspk.rs i need 1.7.2 but all the downloads failed. Please help? Why do you have Forge 1307 on version 1.7.10 when the latest (and last) Forge for 1.7.10 is version 1291? 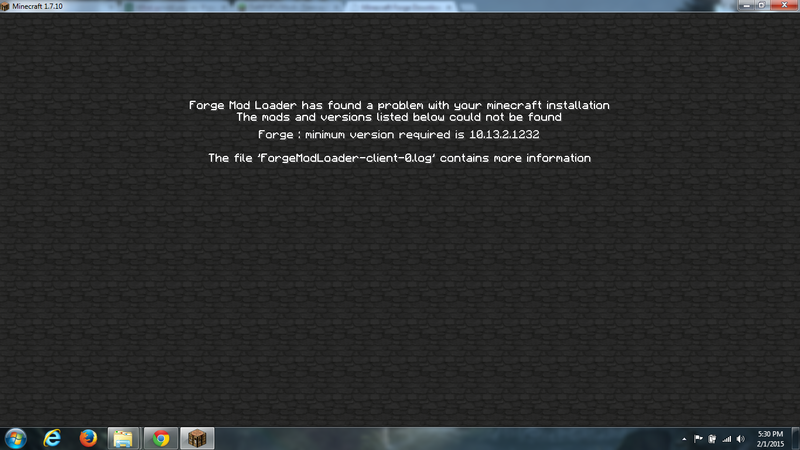 last version forge for 1.7.10, 1307, build 1307 - fix NPE bug. 2014-11-22 16:30:09 [WARNUNG] [Buildcraft] Unable to read from remote version authority. Set showMainMenuMods=false in bspkrsCore.cfg. You can also do this from the in-game config screen: Main menu -> Mods -> select bspkrsCore -> Config. Update to Forge 1232 or higher.